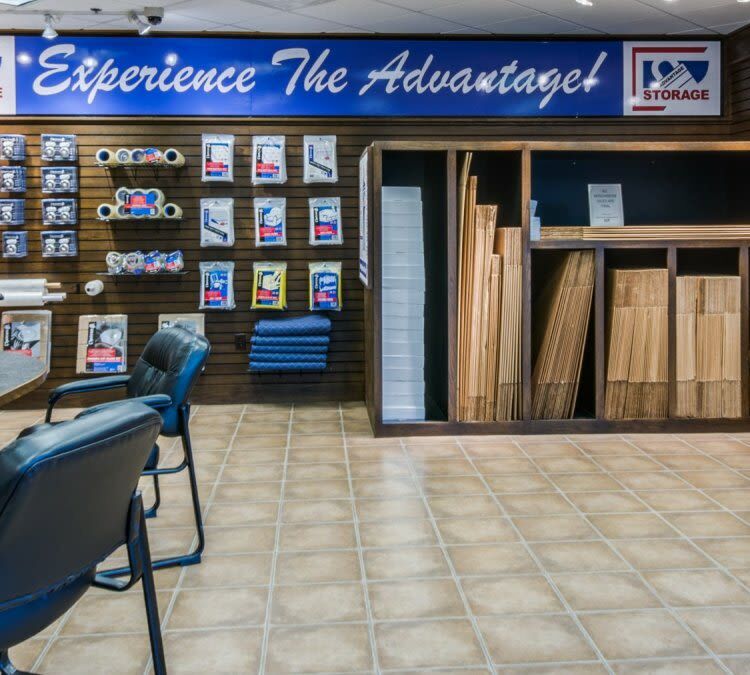 Advantage Storage in Irving, Texas, is proud to offer a wide range of storage solutions for residential and business clients. Secure your belongings while you seek that perfect new home, stash treasured items from your cluttered garage or safely stow business products until you need them for the next sale. We're here to help! Our location at the intersection of Interstate 635 and the George Bush Tollway, minutes from the Dallas Fort Worth Airport, makes us the preferred storage choice for the Las Colinas, Valley Ranch, Coppell and Grapevine communities. Our renters appreciate that we offer many sizes of high-quality storage units, as well as climate-controlled units to protect delicate items from extreme temperatures and humidity. We offer high-quality service that includes free use of hand-trucks and dollies, on-site professional management and a wide range of moving products available for purchase. We also happily accept deliveries for our business clients. Our security features are top-of-the-line. The entire facility is well-lit and enclosed within our secure fence with code-entry gate. Numerous recorded surveillance cameras monitor the property around-the-clock. We also offer flexible rental terms. All units are offered on a month-by-month basis with absolutely no long-term contracts. Our prices are affordable and competitive. You can count on us to provide the secure and convenient storage you need. When you come in, make sure to ask about our move-in specials!